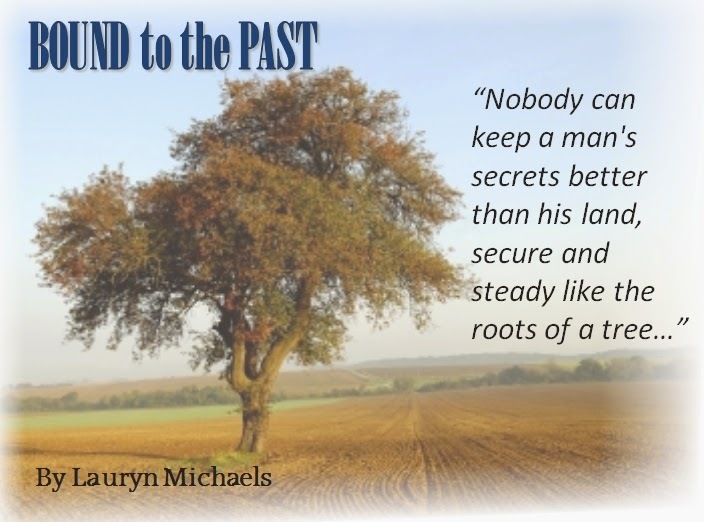 Bound to the Past by Lauryn Michaels is a 2014 publication. I was provided a copy of this book in exchange for an honest review. 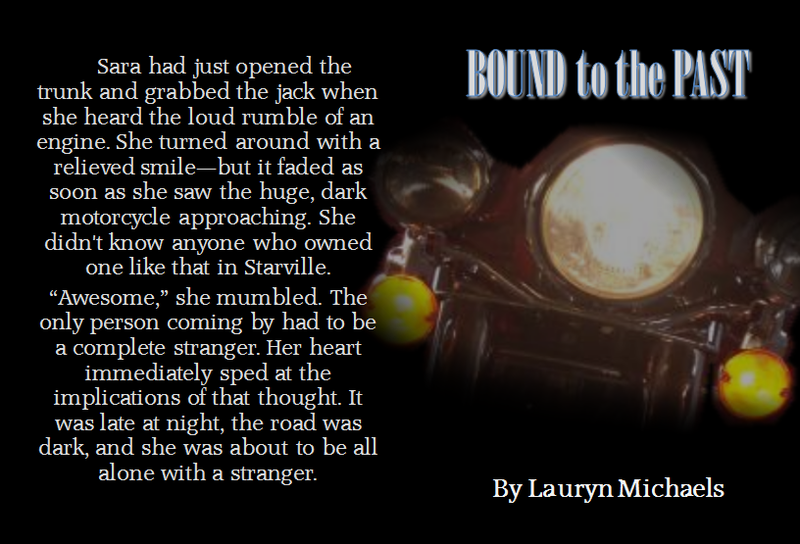 This is a light mystery or Romantic Suspense novel featuring Sara and Jack and a small town full of secrets. When Sara goes out on a quick errand her life changes in a moment. A blowout on a dark desolate road, a stranger who stops to help, and then the stranger is in a terrible accident that leaves him with memory loss. Sara is troubled to learn the man who helped her, the man whose life she saved after his accident, has a terrible reputation in Starville, the small Texas town she moved to four years ago. Jack left town after his arrest for murdering his adoptive father, J.T. After spending three years in jail awaiting trial, the case was thrown out for lack of evidence. 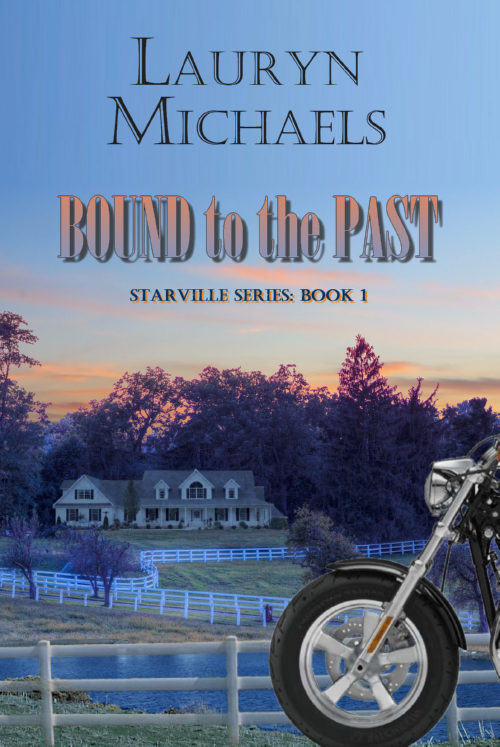 Jack left Starville and started his life over, but now he is back and has revenge on his mind... until he meets up with some back luck and loses his memory. Sara is a struggling author that has up until now lived here life very cautiously. She doesn't take risk and is bored with her life. Once Jack appears in Starville she suddenly finds herself feeling more inspired to get that novel written. But, the shadow of Jack's past cast a pall over the good things happening in Sara's life. Is it possible this wonder man she has fallen in love with could be a murderer? Well, it seems like Sara is the only one in the entire town that believes Jack is innocent, especially when upon his return to Starville, another person is murdered and Jack is a person of interest once more. Will Sara stand by her man? Is he really innocent or could be a cold blooded killer? Now ladies, you know in real life we would not allow a man we just met, a man accused of murder, to just move right into our homes, with blind faith. While I believe in innocent until proven guilty, one only needs to watch a few episodes of Dateline or 48 Hours Mystery to know in real life caution is a necessity. But, because this is a made up story and we are all adults here and know this is not real life, I think we can skip the lecture. I did not see a publisher listed so I going to presume this is a self publication and I also believe this is a first novel for this author. So, while the book may have ran just a wee bit too long and there were some plotting issues that could have been tightened up a little, for a debut novel this was a very good start to the series. I liked Sara's attitude and her reserve of judgment in Jack's case. She had the luxury of remaining neutral because she was unaware of Jack's past and didn't live in Starville when Jack's adoptive father died, so she wasn't tainted by prejudice. What she sees in Jack is something others have perhaps missed all along because of their closed little minds. Just because Jack had a hard start to live didn't make him a murderer. I think all of us could use a little bit of Sara's type of unwavering support from time to time. It's not always easy to stand up for what you think is right and it's even harder to stick to it when everyone else is convinced you are wrong. So, although Sara thought of herself as being meek and dull, she really had a lot of character and strength. Jack was a cross between the tough alpha male and the sensitive , smart beta. He is a mystery through out the book because of his loss of memory. This gave him a little added appeal and made him seem vulnerable which may have kicked Sara's nurturing instincts to life. We don't know what happened the night his father died and neither does Jack. But, his return to Starville has certainly stirred up a hornets nest. The story takes on many twist and turns before the truth is finally revealed once and for all. I do enjoy these kinds of mysteries. A spicy romance and a genuine whodunit with lots of old buried secrets coming to light is a good combination and the ideal type of book to curl up with. In closing I would say this was a enjoyable read and I will keep my opened for future novels in this series. I think the author has talent is off to an admirable start. This one is 3.5 stars.